An another malayalam flick getting to be remade in Tamil by Dhanush. This time Youth Icon Dulquer Salman’s Christmas Superhit ‘Charlie’ on limelight. "Charlie", has quite a lot of reasons to celebrate, a wonderful storyline with an awesome acting charm as female lead, Parvathy. The Martin Prakkat directorial, released as a Christmas treat to Kerala movie-goers on 24 December has been making amazing business at the Kerala box office by collecting more than Rs 6 crore within four days of its theatrical run in India. Dhanush, who is said to be very impressed with the Dulquer - Parvathy starrer, has bagged the Tamil remake rights of the movie. The remake version of the film will be reportedly produced by the actor's home production banner Wunderbar Films. 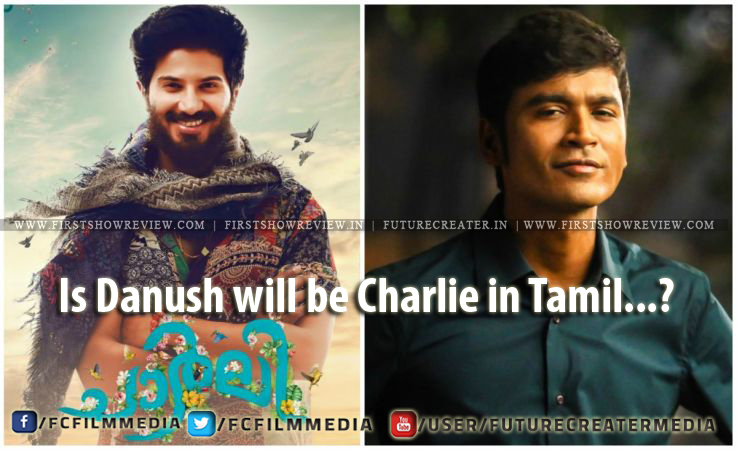 Bu still its not confirmed who will be in the role of ‘Charlie’ in tamil, we expect the same lead pairs Dulquer Salman and Parvathy in the Tamil version also. Reports had that Dhanush will remake the blockbuster movie "Premam" in Tamil, but after the Malayalam version got tremendous response in Tamil Nadu, the actor is believed to have dropped his plan to remake it. Director Alphonse Puthren's "Premam" starring Nivin Pauly, Anupama Parameshwaran, Sai Pallavi and Madonna Sebastian in the lead roles has already completed 200 days of its run at Sathyam Cinemas Multiplex in Chennai. Anyway Malayalma cinema getting wide audience response from all over the India. Recent so many movie like Drishyam, Premam, Om Shanti Oshana, Ennu Ninte Moideen...etc, got famous in all india and appreciated by non-mallu peoples.